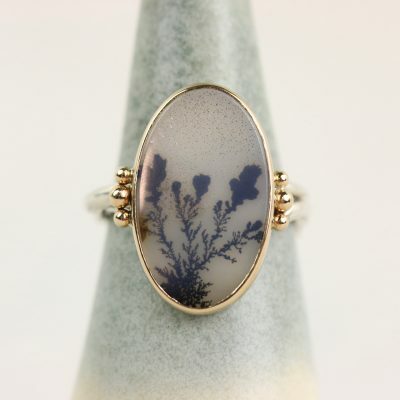 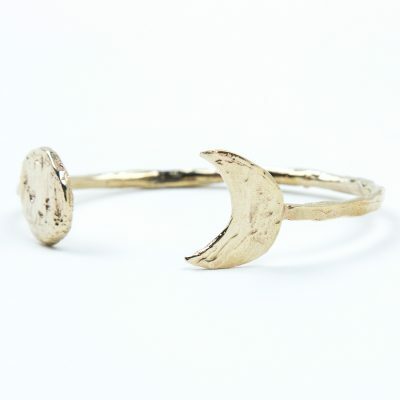 We love the delicately organic texture of this ring! 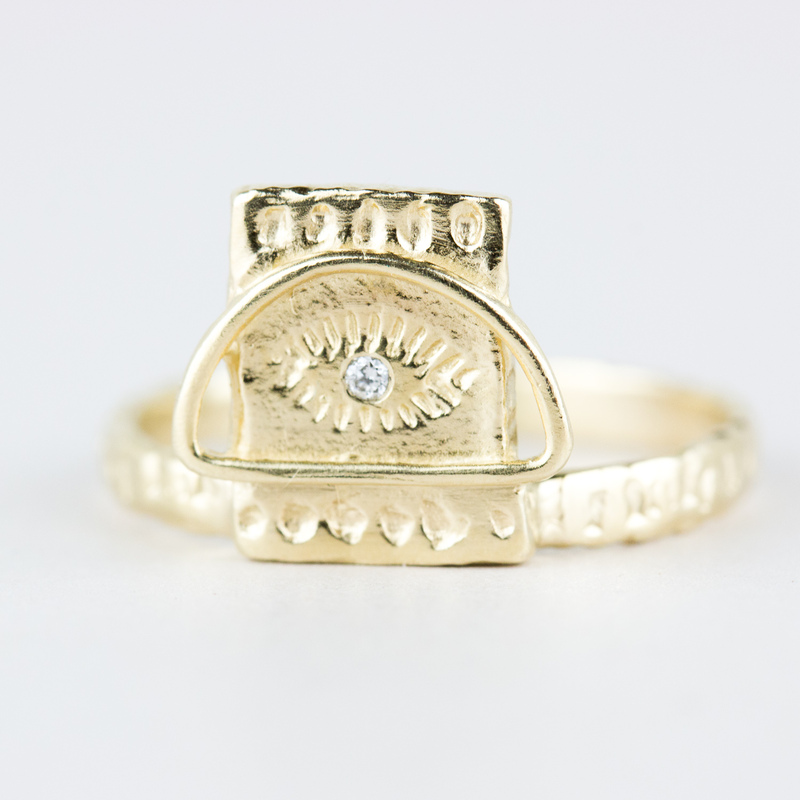 14K Yellow gold textured band, eye and sun symbol mounting with flush set diamond as pupil. 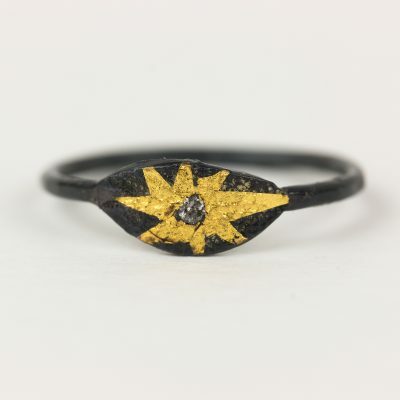 Handmade by Lio & Linn in NYC.